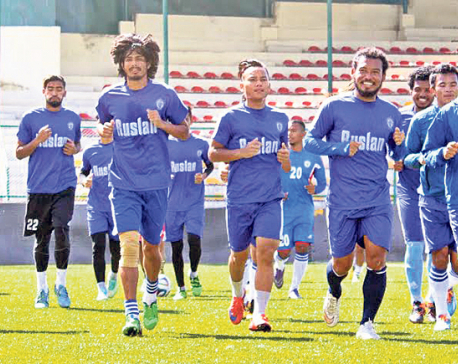 KATHMANDU, Dec 8: National league champion Three Star Club has been deprived of its rights to compete in the playoff of the AFC Asia Cup due to negligence of All Nepal Football Association, the football governing body of the country. Nepal has not been listed in the playoff of the tournament unveiled by Asian Football Confederation (AFC) on Wednesday. 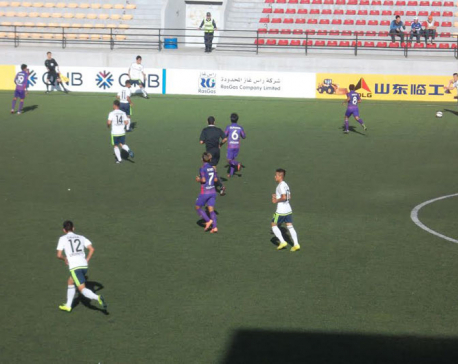 Three Star had automatically secured a berth for the playoff as champion of playoff qualifiers held in Mongolia in August during which it finished ahead of Erchim FC of Mongolia and Nagaworld of Cambodia. However, Mongolian team has been given the chance instead of Three Star after ANFA, the responsible body to register the team, failed to do so within the deadline of November 23 given by AFC. The official draw for the AFC Cup will be held on December 13 in Malaysia. According to a letter sent by AFC Competition Director Shin Man Gil, ANFA did not respond to the AFC letter sent on three different occasions to ensure participation of Three Star. Three Star General Secretary Sanjeev Shilpakar said that the Club has not received any information regarding the team's absence in AFC. “We did not see Three Star's name in the AFC website and we are seeking clarification,” said Shilpakar, adding that his side had spent more than Rs 7 million to participate in the Playoff Qualifiers in Mongolia. ANFA CEO Indraman Tuladhar admitted that it was a mistake from the football governing body. The AFC Asia Cup is second tier inter-club competition hosted under the flagship of AFC.